Former cricketer and current chief selector of the Sri Lankan national team, Sanath Jayasuriya, admitted that the selection panel headed by him was struggling to assemble a fully fit playing eleven for the upcoming Test series against Australia but expressed hope that any youngster that gets called up will make the most of the opportunity, ESPN Cricinfo reports. The island nation will be playing at home against the ODI World champions after returning from a horrible tour to England where they not only suffered embarrassing defeats across all formats but also ended up suffering a lot of injuries, especially in the fast-bowling department. According to Jayasuriya, Sri Lanka would have given the hosts a good fight had injuries not foiled their plans. "The unfortunate thing about the Test series in England was that we had a very good bowling line-up but we started getting injuries from the first Test onwards and before long our main three fast bowlers - Prasad, Chameera and Eranga - were out of the scene,” he said. “We were basically left with only another two fast bowlers Pradeep and Lakmal to run through the rest of the games. If not for those injuries we would have done really well. But injuries are part and parcel of cricket and you have to face them." Jayasuriya blames the crowded international calendar for the higher number fo injuries the players, especially the fast bowlers, picks up in modern day cricket. "At the moment, they are playing a lot of cricket - Tests, ODIs and T20Is. In our days, our cricketing life span would have been about 15 years but now it has come down to about eight years. "In the present context if you play for 10 years you will have played more than 150 Tests and almost 300-400 ODIs on top of T20Is. A human body cannot take such a workload. The main thing is how the player manages and rehabs himself. It is easy to come and say 'I am injured'. “To play with the pain is the key. No fast bowler can play without any pain. They have to play with niggles here and there. We are currently working on the players with one of the best trainers, Michael Mann, who has been trying to get them into shape." With none of the fast bowlers making much progress on the injury front, a few youngsters from the Sri Lanka A side are expected to earn a call-up to the national side. Jayasuriya is hopeful that the youngsters grab the opportunity with both hands but also wants the home crowd to be patient and not expect instant results. 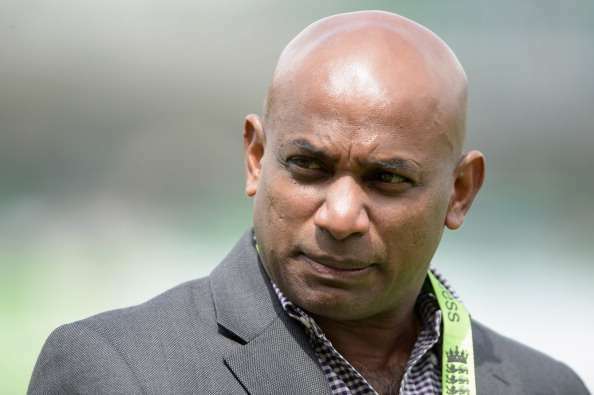 "It is very difficult times as a selector to pick a balanced squad with so many injuries," Jayasuriya, who is in his second stint as chief selector, said. "It's a bit tough but we will try and pick the best possible team. I hope the players picked also know what is expected of them and that they will do their best. "Whoever is fit and whoever is doing well in the Sri Lanka A team, we'll have to give them the opportunity. It is the feeding place for the senior side. If we feel there is somebody who is very good in the Sri Lanka A, emerging or Under-19 squads, we will not hesitate to pick them. While the bowling departments worries have been well documented, the Sri Lankan batsmen have also struggled to come up with answers at times, especially since the ever-dependable duo of Mahela Jayawardene and Kumar Sangakkara bid farewell to the national team last year. Jayasuriya though believes the team’s youngsters will only get better with time. "The batting line-up is a fairly good one and stable. If you see the way they progressed in the Tests the batting was really good. It's the one key department we can think that we are in the right direction. With players like Kusal Mendis, Kaushal Silva, Dinesh Chandimal and Angelo Mathews, the batting line-up did really well. “Some of the innings of 20s and 30s, I would like to see them go and get a big 100 or 200,” he said.